Have you heard the terms insulin resistance, insulin sensitivity and metabolic syndrome in the same breath as prediabetes and type 2 diabetes? 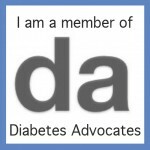 Do you wonder how these terms are intertwined with prediabetes and type 2 diabetes? Learn the terms and gather action steps put them in reverse or at least slow their progression over time. Insulin resistance most often occurs in people who are overweight. 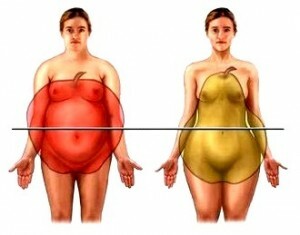 People who carry their extra weight around their middle – the abdomen or waist line - are at increased risk. The medical term for that apple shape is central adiposity. As excess weight accumulates, especially in people who are at risk of type 2 diabetes, insulin resistance causes the body to become resistant to the insulin the body currently produces and secretes from the beta cells in the pancreas. Over time, which can be five to ten years, and if a person doesnt' take actions to reverse it, the beta cells can no longer keep up with the body’s demand for insulin. In simple to understand terms it is said that the pancreatic beta cells get “pooped out.” Blood glucose then rises above a healthy level and towards ranges high enough for the diagnosis of prediabetes or type 2 diabetes. During the time when insulin resistance is slowly causing the pancreas to work overtime, (yet prior to blood glucose rising higher than normal), insulin resistance is slowly setting related health issues in motion. Think of insulin resistance as being at the center of this weight gain, type 2 diabetes storm. Together these related medical conditions can result in what’s called metabolic syndrome. You may also hear this called cardiometabolic risk. It's the same thing. The National Institutes of Heart, Lung and Blood Institute (NHLBI) of the National Institutes of Health define metabolic syndrome as a group of five metabolic risk factors (see list below). *Or a medicine is prescribed to lower or control the risk factor. While insulin resistance is not a risk factor for metabolic syndrome, per se, it is a central cause of these risk factors. High fasting blood glucose is on this list of risk factors. It is interesting to note that typically elevated blood glucose is the last of these metabolic risk factors to occur. What’s the Root of Insulin Resistance? Excess pounds in the form of fat cells (adipose tissue), set off a series of events which are part of the body’s inflammatory response. These fat cells secrete cytokines which move into the body’s blood stream. This causes slow, steady and constant (or chronic) inflammation which experts believe initiates the problems with insulin resistance. Extra pounds are not simply excess baggage. They fundamentally change the way the body functions and over time has a number of damaging effects! The answer is a definitive YES! Research shows that the earlier along this continuum of insulin resistance and metabolic syndrome you take action to put it in reverse the better. Even with prediabetes or in the early years of type 2 diabetes, actions help decrease insulin resistance and increase insulin sensitivity. The key actions are losing some weight, becoming physically active and keeping as much of that lost weight off as possible for as many years as possible. Numerous research studies have shown that losing as few as 5 to 7 percent of starting weight (~10 to 20) pounds can help the body regain some insulin sensitivity. Again, the sooner you take action the better! Minimal weight loss improves insulin sensitivity – making the body’s cells more sensitive to the insulin you still make in the pancreas. Becoming physically active in addition to weight loss and on its own, also improves insulin sensitivity. These actions can lower blood glucose (often dramatically) and in addition can often improve or put you at less risk of the other health conditions noted which are associated with insulin resistance. To lose weight follow a healthy eating plan (read: Got Diabetes: Necessary or Needless to Follow ‘A Diabetic Diet’?). Eat real food that is unprocessed and unadulterated with sugars and fats. Eat sufficient fruits, vegetables, fiber filled whole grains, legumes and low fat dairy foods. Lighten up on meat, fats and oils. Next, get physically active. Start slowly and work up to 30 minutes of activity most days. Most people find walking to be the easiest to accomplish exercise. More is better. Easy to do? No! Making these changes takes work and dedication. But is it worth it? Oh, yes! With healthy changes you can prevent or delay prediabetes or type 2 and perhaps a host of other related health maladies.